Carshalton Athletic were formed in 1905, they were known as Mill Lane Mission FC. 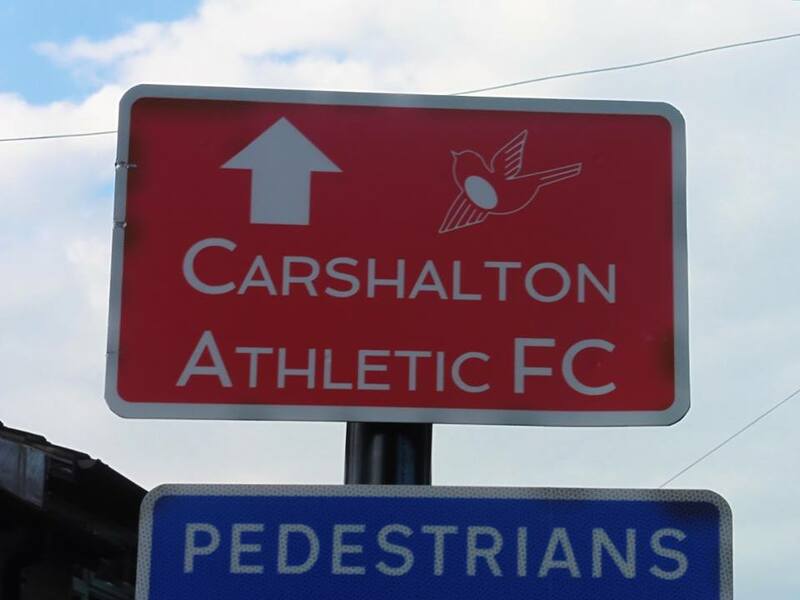 Carshalton Athletic traces its roots to two separate teams playing in the area of Wrythe Green in Carshalton in the early twentieth century. In 1907, Mill Lane Mission registered their name with the Surrey FA and started playing under the name Carshalton Athletic. 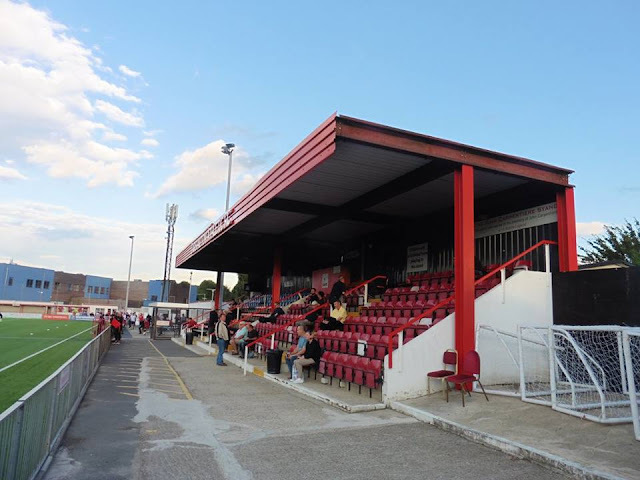 After the name change, the club went on successive promotions in 1908, 1909 and 1910 which were awarded with election to the Junior Division of the Southern Suburban League. 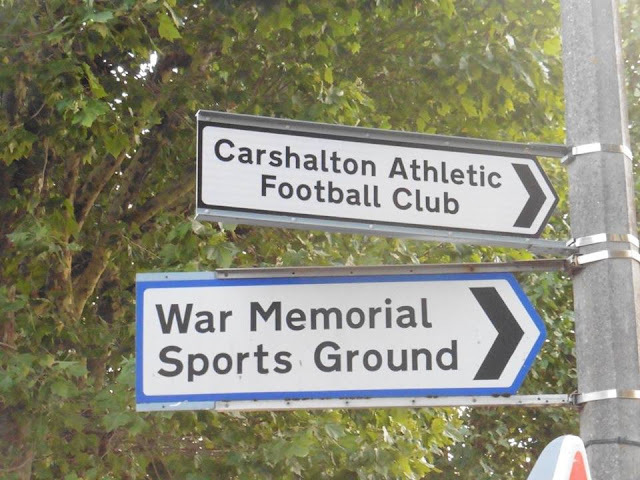 After playing at various grounds, Carshalton moved to Colston Avenue during the 1920-21 season. 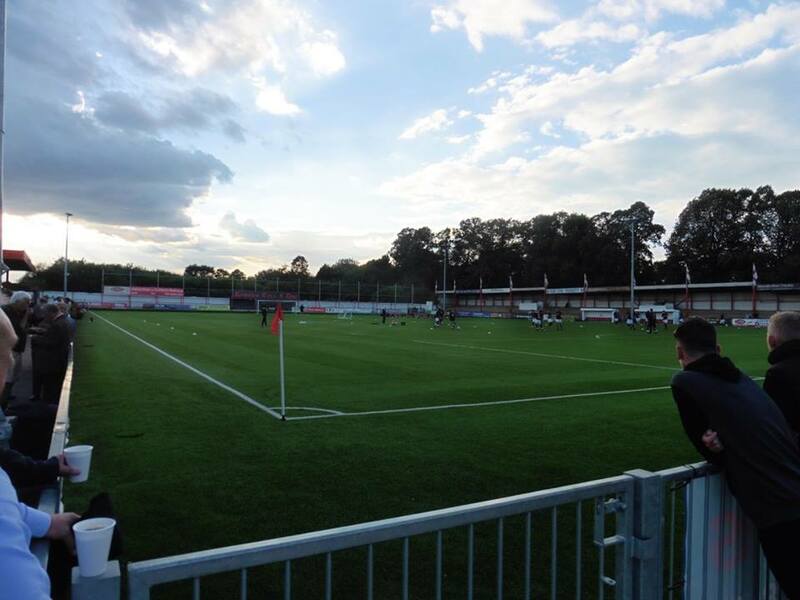 A year later the club found trophy success by winning the Surrey Intermediate Cup which they have won it twice. Later on in years, the club would spend the next 17 years in the Athenian League in which the club had very little success finishing bottom twice in 1959-60 and 1960-61. 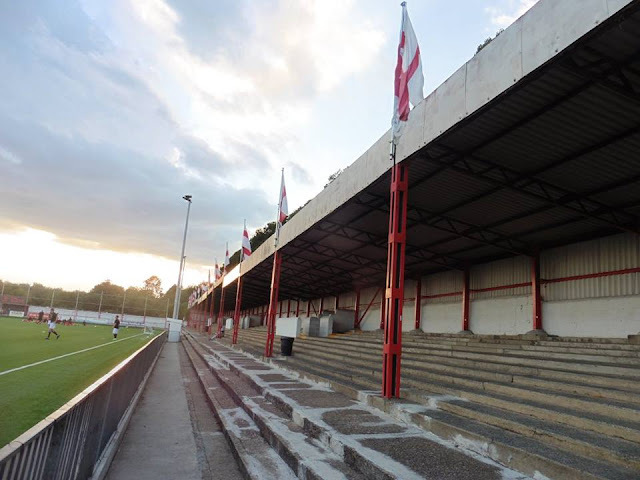 In the summer of 1973, Carshalton became founder members of the newly created Isthmian League Division 2 and of course achieved promotion. The first two seasons would prove to be a struggle and in their third season they just missed out on promotion finishing 3rd. A year later they finally achieved promotion to the Isthmian Premier Division in 1977. 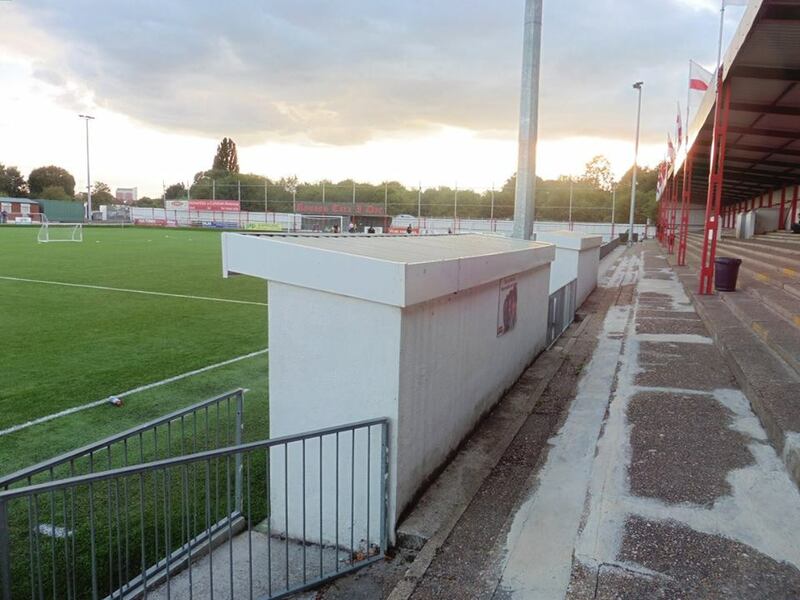 In 2004, Carshalton were promoted to the Conference South for the first time but after a £12m plan to rebuild the ground fell through, Chairman Steve Friend resigned followed by manager Billy Smith. 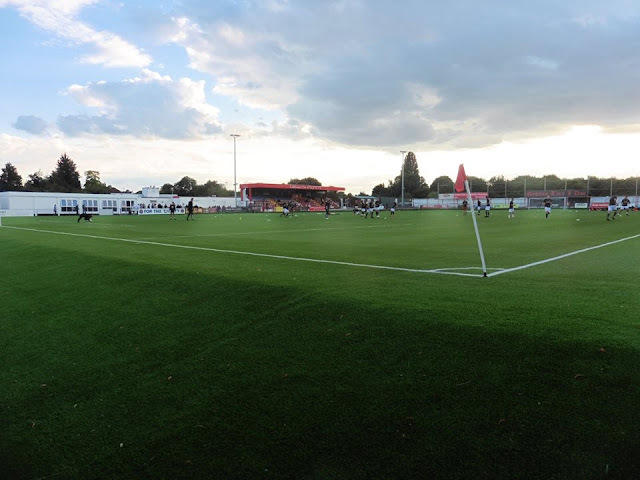 The club retained their place in the Conference South in 2004-05 but were relegated back to the Isthmian League in 2006. 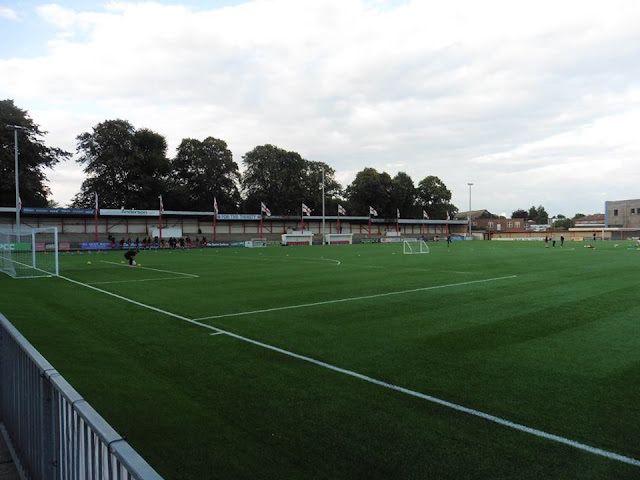 Carshalton finished 21st in the Isthmian Premier 2012-13, but a year later finished 23rd and were relegated. 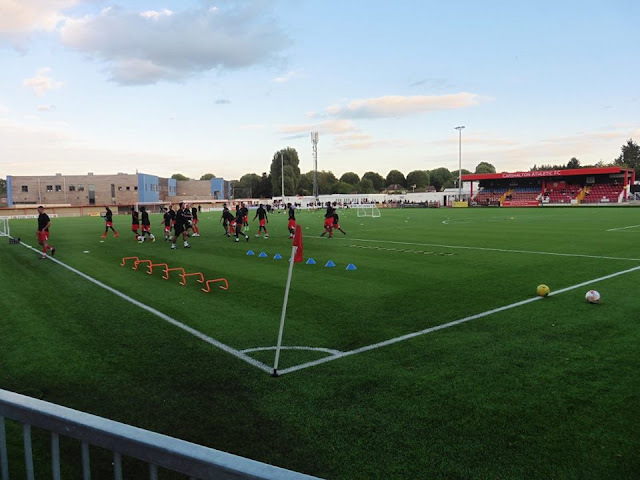 4 years later they were back in the Isthmian Premier winning the Isthmian Division One South title in 2018. 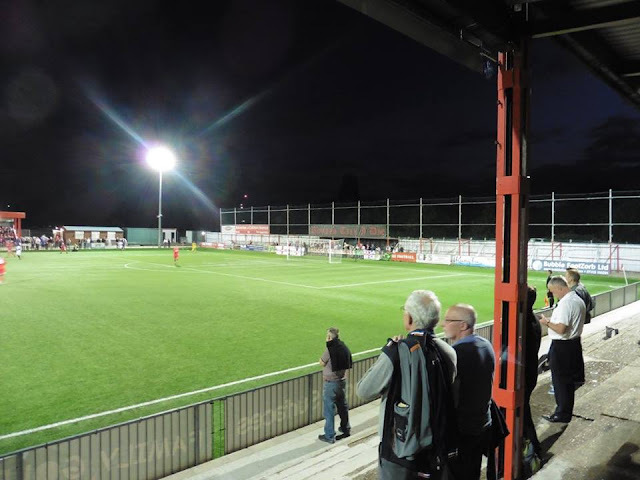 Carshalton Athletic have been playing at Colston Avenue since 1920 after playing at various grounds before that. It has a total capacity of 5,000 of which 240 are seated. 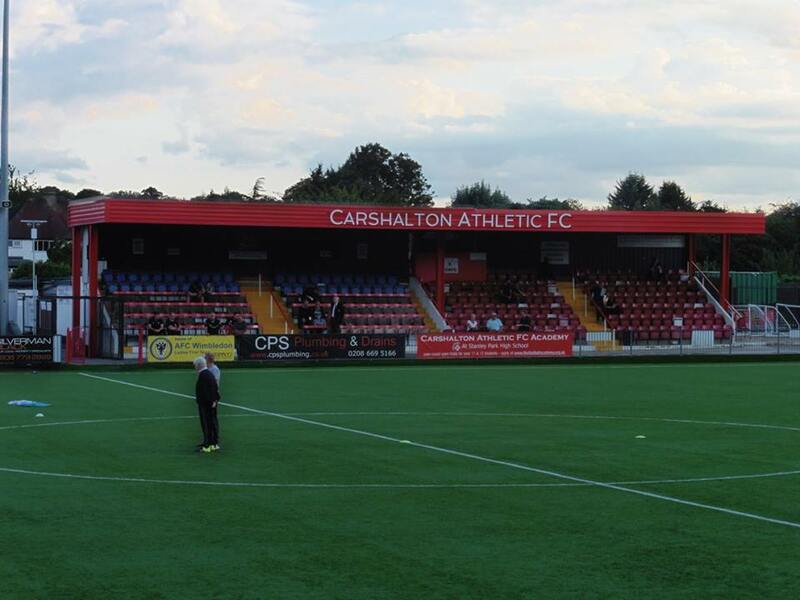 Carshalton train station is the nearest to the ground, about a 5 minute walk from the station. My 1st visit to Carshalton came on a rare Monday night in August at the start of the season in 2018. I usually work Monday nights, but booked loads of holidays off the rest of the year and this was one I randomly booked off. 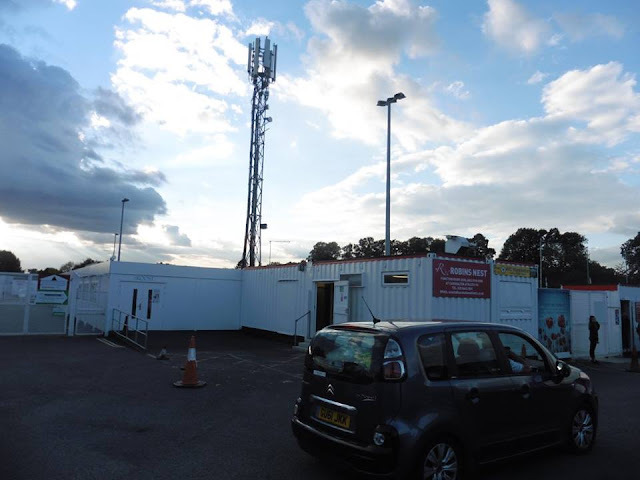 After looking to see what games I could go to, there wasn't much on other than Chelmsford City v Dulwich Hamlet or of course Carshalton v Worthing. 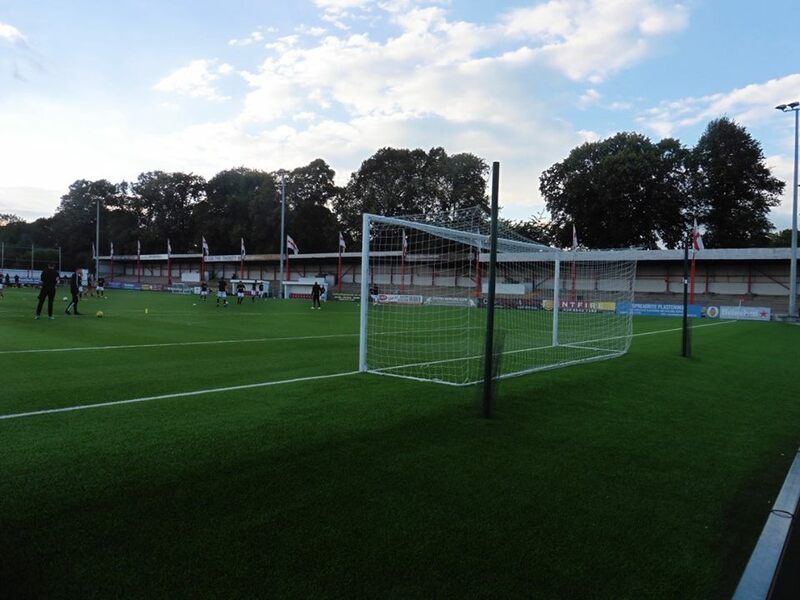 I originally was thinking about going to Chelmsford but after looking at pictures of Carshalton's ground and a friendly tweet of them on Twitter, I decided to go to Carshalton. After leaving home on the Monday after 5pm, a change at London Bridge saw me arrive into Carshalton shortly after 7pm. I arrived to the ground a few minutes later, with £10 admission. No programmes as you could only download them on your smart phone or something which was a bit silly really but wasn't majorly fussed. 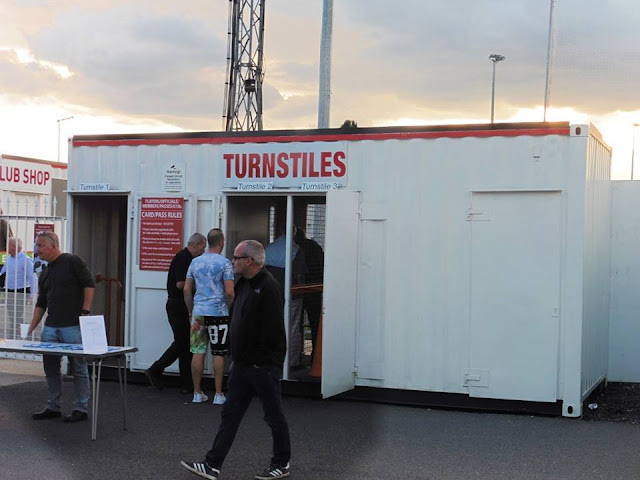 I walked round the ground whilst taking pictures and then queued up to get something to eat. I had been feeling a little bit rough the past couple of days so only decided to get a portion of chips which were fairly good for £1.50. The game kicked off and Carshalton took the lead through a very nice finish by Ricky Korboa after 20 minutes. 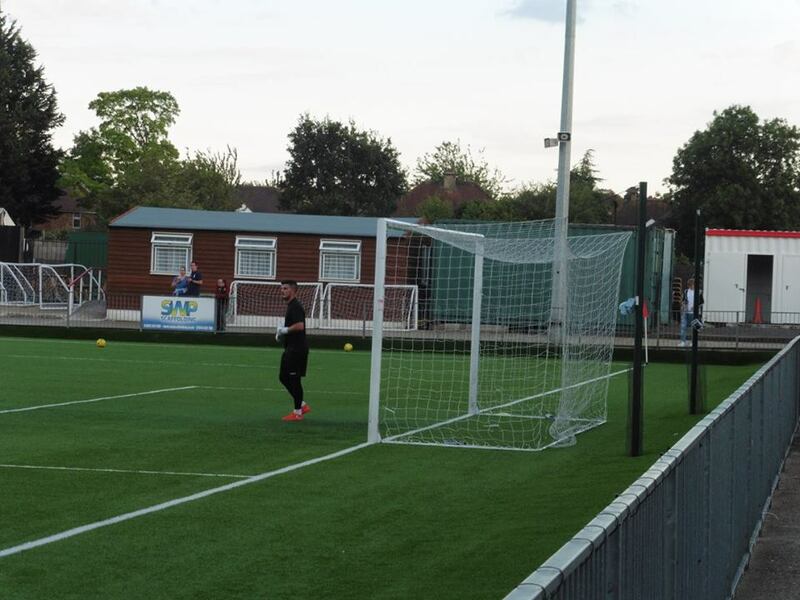 Carshalton went in the break 1-0, with both sides having chances, including Worthing hitting the woodwork. 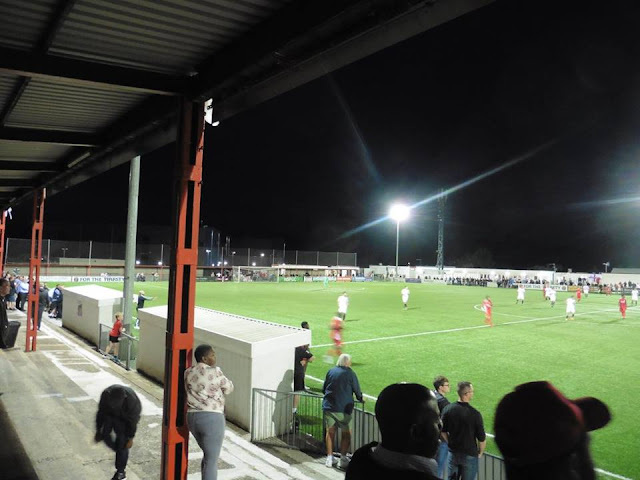 2nd half came and was similar to the 2nd half, although Worthing got back into the game a lot more, and a mad 2 minutes saw Worthing equalise and then take the lead with David Ajiboye putting the visitors in front and come away with the points. 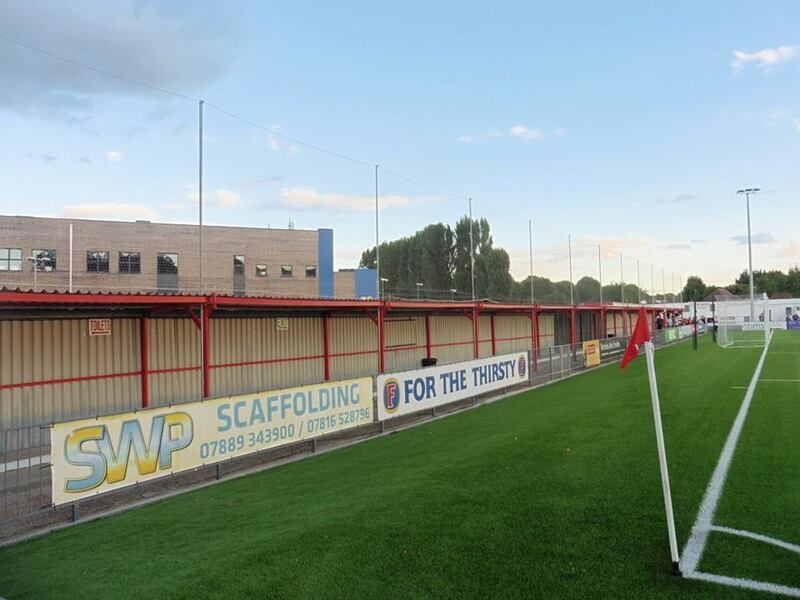 Maximum points saw Worthing go top of the league with 2 out of 2 wins and a 1st defeat of the season for Carshalton. Ticking off Carshalton's ground saw me tick off 137 current grounds. I arrived home shortly after half 11 after a good night in Carshalton.